Kit includes 8 u-bolts to service one vehicle. 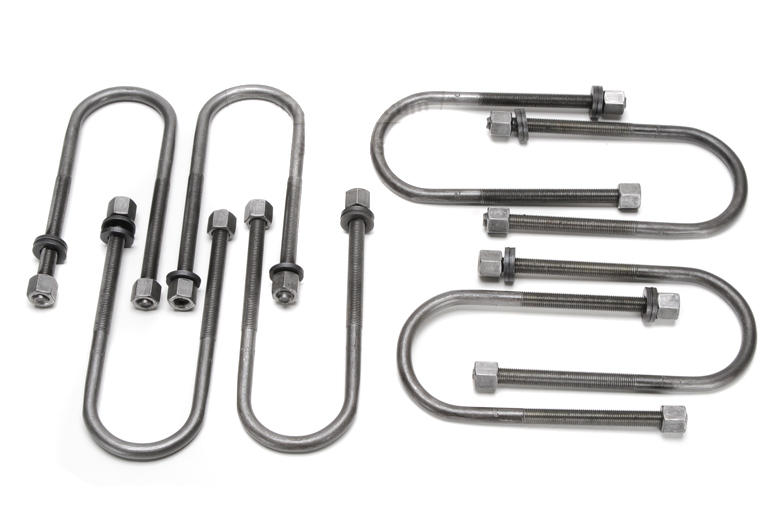 Each U-bolt comes with SAE threads, extra-long Grade 8 nuts for better grip, and hardened double-thickness washers. These are for Scout II front and rear axles. This kit is for vehicles with front and rear dana 44.